Posted: Monday, July 23, 2018. 4:18 pm CST. By BBN Staff: The Elections and Boundaries Department today issued an update on the ongoing Re-registration of Electors Exercise. 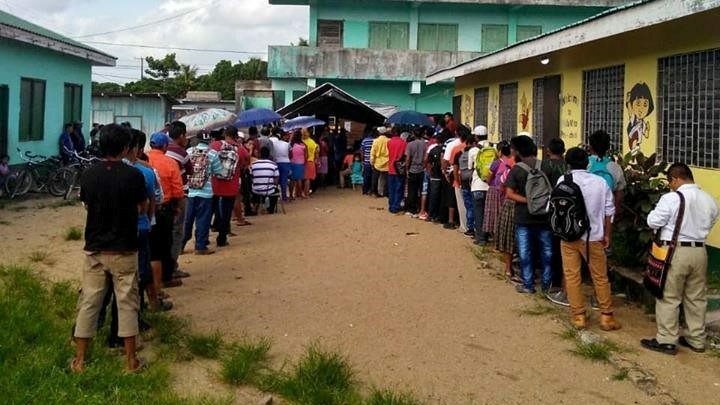 According to the release, a total of 54,451 Belizeans have now re-registered. Registration Centers continue to be open in all thirty-one (31) electoral divisions country-wide to facilitate the acceptance of applications for the registration of electors. The public is reminded that their application for registration as an elector will be accepted in any of the registration centers which falls within their respective electoral division. The Independence Primary School Registration Center is also open to facilitate persons wishing to be registered who reside in Independence Village and other nearby surrounding villages of the Toledo East and Stann Creek West Electoral Divisions. The Department encourages all qualified persons to participate in the Re-registration Exercise, especially at this time where additional Registration Centers are open to facilitate the process.